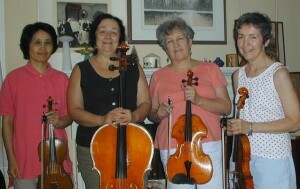 Lansdowne String Quartet represents Lansdowne Symphony Orchestra , annually performing at Lansdowne Farmers’ Market and Lansdowne Arts Festival, and was featured in Haverford’s inaugural music festival. Eiko Ogiso Reingewirtz: violinist/violist, plays chamber music, often performs in the Philadelphia area, and is a lab director at The Children’s Hospital of Philadelphia. 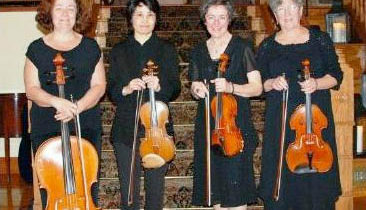 Dorothea DiGiovanni, violinist, also plays with Celtic Women and Friends, and is a music minister at St. Denis in Havertown. 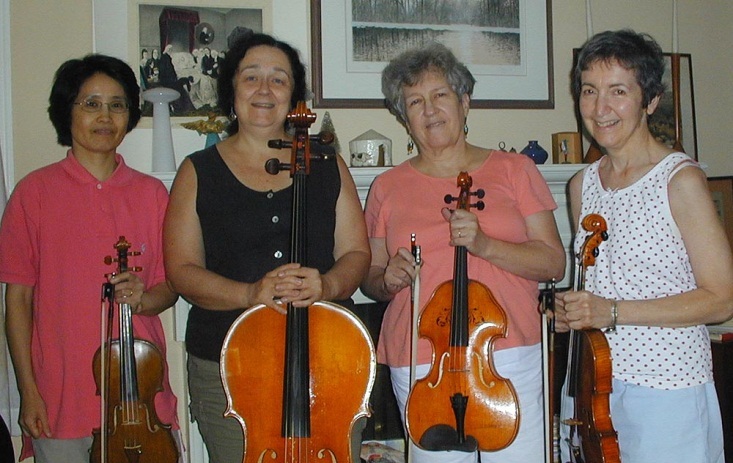 Suzanne Stevens, violist, plays in many different chamber groups in the Philadelphia area, and is a retired school teacher. Laurie Wolfe, cellist, plays in many different chamber groups in the Philadelphia area, and is a bookdealer as a partner in Classic Books and Ephemera.